Thank you, Maryam [Amiri, manager, employee engagement and internal communications, Abu Dhabi National Oil Company (ADNOC)], for that kind introduction. Your excellencies and other distinguished guests, it is a pleasure to be here in Abu Dhabi and address this important gathering. The theme of this year’s conference – “Strategies for the New Energy Landscape” – is appropriately timed, given the challenges and opportunities the energy industry must manage now and in the years to come. The period of supply expansion we’re experiencing today has been made possible by the collective work of thousands of engineers, scientists and industry professionals who developed the technologies to safely and responsibly deliver the energy the world needs every day. Their successes have unlocked vast new supplies, creating a period of abundance. And with that comes the challenge of finding ways to effectively manage through a commodity cycle. As such, operators today are required to improve their cost structures and be disciplined in their investment choices. This morning, I’d like to focus on three areas of importance in today’s energy environment: meeting the ever-changing operating challenges, the critical importance of partnerships between national and international oil companies, and the vital role of emerging and future technologies. First, let’s consider the energy landscape. Evidence shows the global oil and gas market supply has exceeded demand by an average of 1 to 2 million barrels a day since the beginning of last year. This oversupply comes amid weak economic growth and moderate energy demand. But most credible long-term energy forecasts predict that the expected growth in the global population, the middle class and emerging economies all underscore the fact that the world will face an ever-increasing need for all types of energy. According to ExxonMobil’s Outlook for Energy, our long-range supply and demand forecast, global economic output will more than double by the year 2040. The world’s population will grow, adding about 1.7 billion new energy consumers. And even after factoring in increasing energy efficiency, we expect global energy demand will still grow by about 25 percent. To put this energy demand growth in perspective: It will be like adding to today’s demand the equivalent of the total energy used today in both North America and Latin America. In our outlook, we expect nuclear and renewables to continue impressive growth and make up 25 percent of global energy supplies by 2040. Oil and natural gas will make up nearly 60 percent. Despite these long-term growth projections, the industry still has to manage through inevitable commodity price cycles. We must be resilient, willing to adapt, and make adjustments to changing realities. Responding to current market challenges while continuing to invest in new projects will require a disciplined approach by the industry and a strong operational focus. Throughout my 40 years in the industry, I have seen markets fluctuate and new challenges and opportunities arise. The most successful companies are the ones that plan – and prepare – for the long term. When ExxonMobil considers an investment decision, we look beyond current market conditions to evaluate what energy supplies the world will need as many as 30 years down the road. We also test our investments across a wide range of possible business conditions to ensure that we are creating value. This enables us to continue to invest wisely, regardless of market conditions. We do it this way because we know that sustained investment and innovation are critical to meeting the world’s future energy demand. Current market conditions, combined with the requirement to make investments now in projects to meet future demand, highlight the need for predictable, stable regulatory and fiscal policies. Such policies in turn foster collaboration and investment in long-term, major projects that are mutually beneficial to resource owners, national oil companies and international oil company partners. This brings me to the second area of focus this morning – the critical importance of partnerships. Today’s environment requires strong partnerships to ensure there is an incentive to make significant, sustained investments in the research, development and deployment of technologies to meet the energy demand challenge. The International Energy Agency estimates that the world’s energy sector will need to invest some $68 trillion in new energy technology and infrastructure over the period 2015 to 2040. Of that amount, about $25 trillion will be needed to support investments in oil and gas. Said another way that would be more than $31,000 a second over that period. Such massive capital outlays will require the companies in our industry, and the governments of the world, to work together like never before. It’s not just the level of investment that is significant. We need to have partnerships that foster a commitment to technical expertise, collaboration and ingenuity that will sustain complex projects that have lifespans that last decades. Appropriate cooperation will lead to investment in new projects, stimulating new technologies and using every energy resource as efficiently as possible. Our industry has proven that effective partnerships can add efficiency at every stage of the energy value chain, maximize the value of resources and increase the safe and reliable delivery of energy. 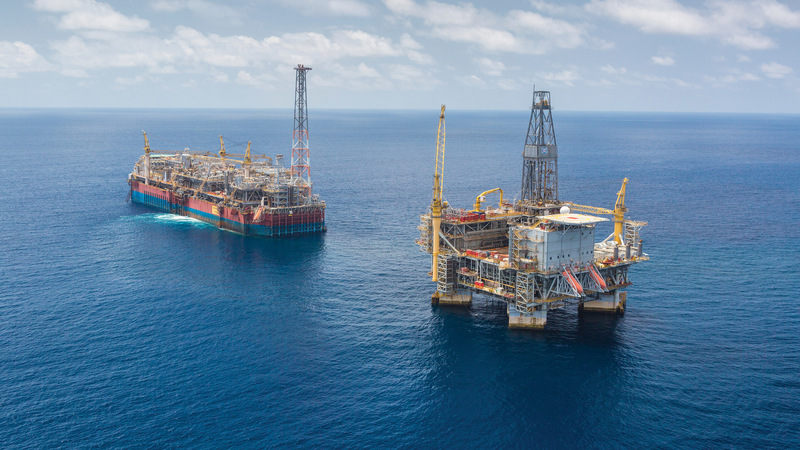 At ExxonMobil, we have seen how successful joint ventures and strong relationships between national and international oil companies can open new sources of energy – and even new markets. ExxonMobil and ADNOC have shared a close and successful partnership that’s been built over many decades. We’ve had the privilege of participating in the success of the UAE’s energy sector since the first oil concession was awarded in 1939. ExxonMobil, ADNOC and JODCO [Japan Oil Development Company] – the ZADCO [Zakum Development Company] joint-venture partners – are together developing to its fullest potential the Upper Zakum field, one of the world’s largest offshore oilfields. Now and in the years ahead, as I’ve stated, partnerships like the one we share with ADNOC will be even more important as we take on capital-intensive, ambitious endeavors to meet future energy demand, and do so safely, with lower emissions. We continue to face the dual challenge of increasing global energy supplies while also reducing emissions. To many, this may seem difficult and even daunting. As industry’s advancements are helping meet the supply challenge, it is important to note we are also working to mitigate the risks of climate change. At ExxonMobil, we share the view that the risks of climate change are serious and warrant thoughtful action. Addressing these risks requires broad-based, practical solutions around the world. Importantly, as a result of the Paris agreement, both developed and developing countries are now working together to mitigate greenhouse gas emissions, while recognizing differing national responsibilities, capacities and circumstances. The best hope for the future is to enable and encourage long-term investments in both proven and new technologies, while supporting effective policies. This is exactly what we’re doing. For example, in May we announced an agreement with a U.S. company, FuelCell Energy, to pursue novel technology to capture carbon dioxide emissions from power plants by using carbonate fuel cells. This research could substantially reduce the cost of capturing carbon dioxide and lead to an economic pathway toward large-scale application. Last month we announced the selection of a site to perform initial pilot testing of this technology at a natural gas-fired power plant in the U.S.
Bear in mind that most solutions that can make an impact on a global scale are not found overnight, but we’re optimistic about the potential of this technology. I have often said, never short the power of technology. Our success in managing environmental risks has and will continue to rest on technology – both current and next-generation technologies that can help us improve our operating performance as well as reduce our environmental footprint. And that brings me to my final area of focus – the vital role of emerging and new technologies in the oil and gas industry. There are some truly remarkable technologies being deployed at Upper Zakum as part of the redevelopment project to achieve key production objectives. ADNOC challenged the Upper Zakum shareholders to increase production, extend the production plateau and increase the recovery from the field. In response to this challenge, ZADCO developed a bold plan that included the latest technology, including the construction of four state-of-the-art artificial islands and the use of extended-reach drilling that allows us to reach the entire field with significantly less infrastructure. Some of the wells drilled from the islands will be more than six miles and include long horizontal completions. The combination of the artificial islands, extended-reach drilling and advanced well technologies has resulted in increased production, a reduced environmental footprint and significant cost savings. Due to this vision and innovative use of advanced technology we’re on track to reach our goal of expanding production capacity to 750,000 barrels per day by 2018. We are also working toward further increasing production to more than 1 million barrels per day in the coming years. In order for our industry to remain on a positive path, we will need to continue to strategically invest in projects like Upper Zakum, effectively manage risks, exercise cost discipline and continue to develop innovative technologies that can help secure a stable energy future. There’s tremendous value in long-term, mutually beneficial partnerships. They provide a foundation for growth and contribute to shared success. It is equally important that a stable, predictable regulatory and fiscal policy environment underpins this collaboration to attract investment. I am confident that with the right focus, continued innovation and a commitment to strong partnerships, we can successfully meet the challenges we face now and in the future. And that those in our industry – resource owners and national and international oil companies, will continue to supply the energy, most particularly the oil and natural gas, that the world’s economies require to sustain and improve the quality of life for all people.